Item # 301399 Stash Points: 895 (?) This is the number of points you get in The Zumiez Stash for purchasing this item. Stash points are redeemable for exclusive rewards only available to Zumiez Stash members. To redeem your points check out the rewards catalog on thestash.zumiez.com. 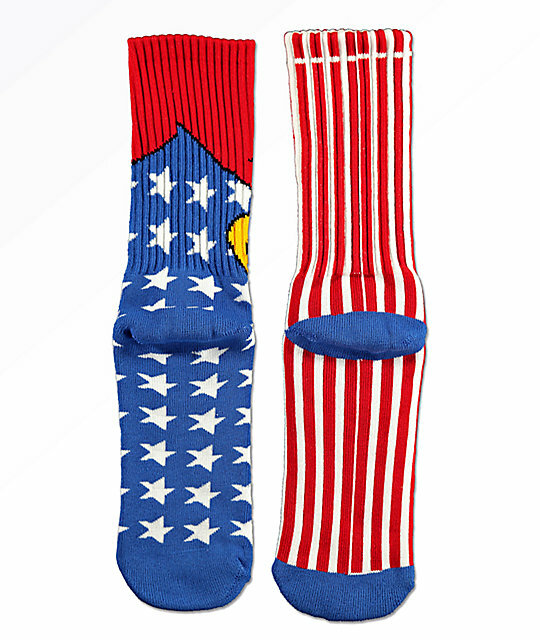 Add a touch of national pride to your outfit with Toy Machine's American Monster Crew Socks. Designed with an American flag knit pattern featuring one of Toy Machine's signature horned monsters on the upper cuff of one of the socks. 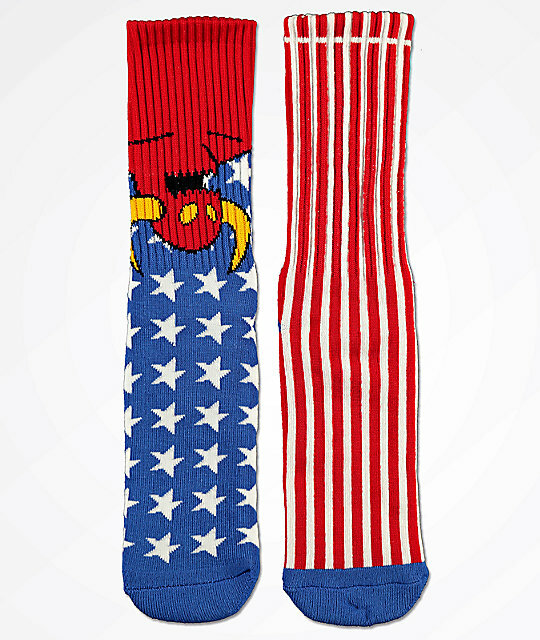 American Monster Crew Socks from Toy Machine. American flag knit design throughout. Athletic ribbed upper cuff with jacquard knit graphics.